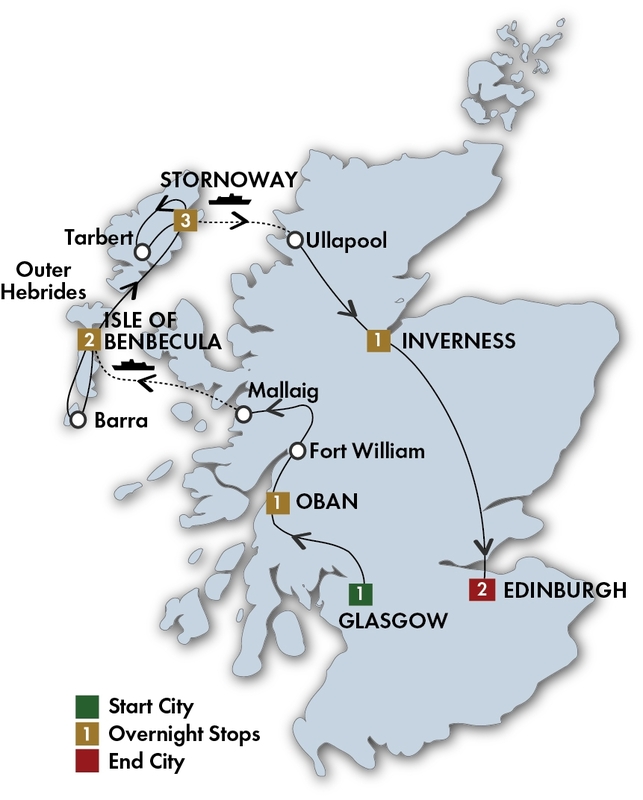 CIE The Outer Hebrides: Scotland's Gaelic West Tour - CIE Tours International tours. Lowest Prices! Scone Palace was the crowning place of Scottish kings where Macbeth, Robert the Bruce and Charles II were once crowned. Scone breathes history like nowhere else in Scotland. It is the family home of the Earls of Mansfield and the ancient crowning place of Scottish kings on the stone of Scone. See where the Stone of Scone, known as the Stone of Destiny, once stood. It now resides in Edinburgh Castle. 10 breakfasts (B) and 8 dinners (D) including a Scottish evening with live entertainment and traditional foods. Your tour ends after breakfast. (B) Please note: This itinerary is subject to last-minute changes due to ferry timetables.